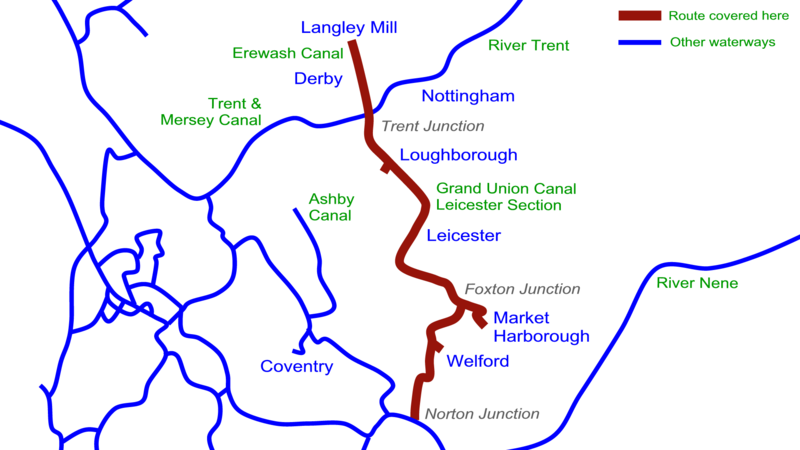 Starting at Norton Junction we climb to the summit level of the Grand Union Canal’s Leicester Section before descending through Leicester and Loughborough to reach Trent Junction. Climbing through the locks of the Erewash Canal we complete our journey at Langley Mill. We’ll see the staircase locks at Watford and the impressive staircase locks at Foxton before working the two swing bridges. We’ll see three tunnels, and visit the arms at Welford, Market Harborough and Loughborough as we cruise past the wonderful scenery, and interesting sights along the way. Route covered by the Grand Union Canal (Leicester Section) DVDs. 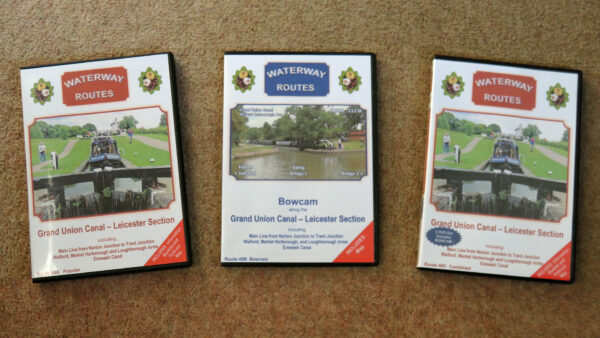 Grand Union Canal (Leicester Section) DVDs in a choice of formats. Contents of Grand Union Canal (Leicester Section) Combined DVD. 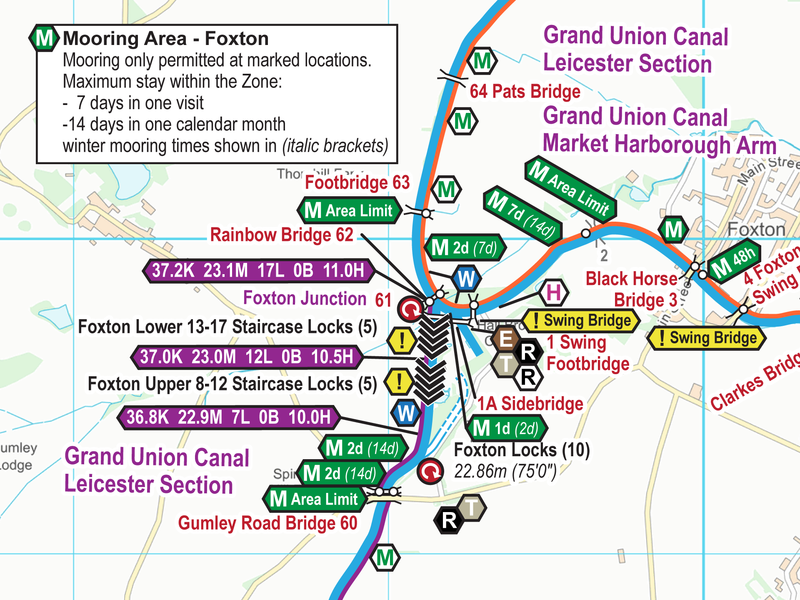 Extract from my Grand Union Canal (Leicester Section) Maps. Read more about my Grand Union Canal (Leicester Section) Maps. 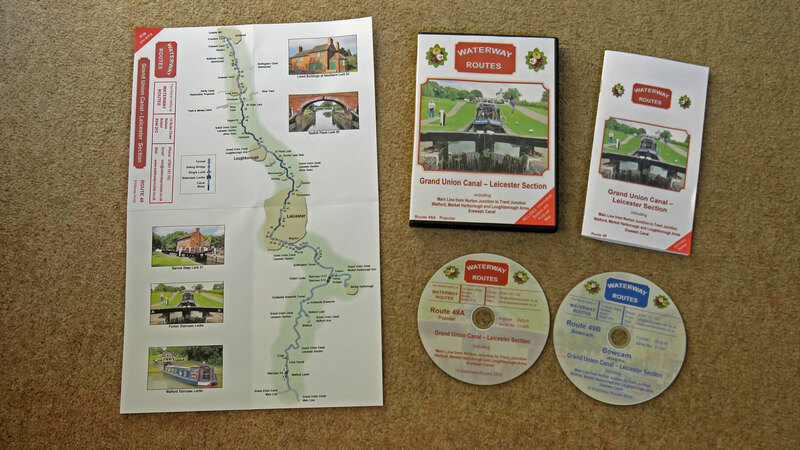 Save 10% on both when you buy a Grand Union Canal (Leicester Section) Map and DVD together. Automatically deducted at checkout.